Digital painting tutorial Amazing Spider-Man part 2 of 3. Learn how to draw and paint amazing Spider-Man. Learn to draw, shade and color Marvel comics superhero from art video tutorial and step by step images. This one is also more stylize or than my usual semi realistic drawing and painting tutorial. I personally think it’s a lot more fun to exaggerate or accentuate some characters, especially spiderman, to your preference style. I think Spiderman and the Hulk look great when modify and exaggerate, not Capatain America or Ironman. Some characters look better realistically. I will also explain and show you how I come up with the pose I choose. 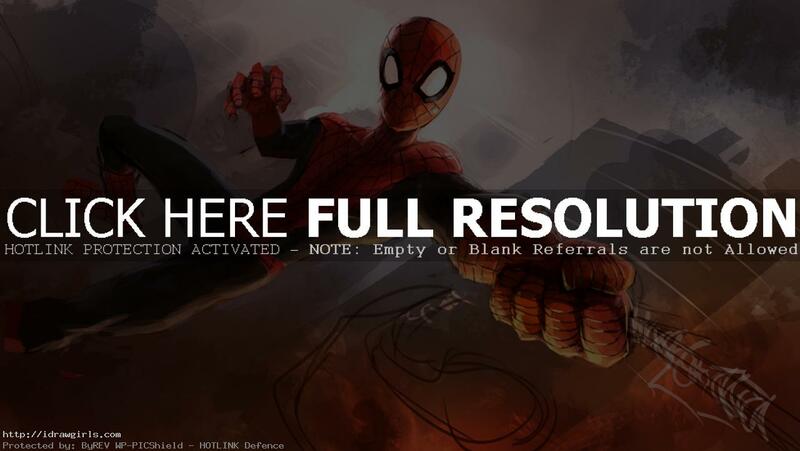 This tutorial is part one (drawing) of three part video on Spider-Man digital painting and illustration tutorial. Watch digital painting video tutorial, Spider-Man, below. More tutorial you might be interested in.